Commercial website development isn’t just pretty design. A company’s website should be designed in a manner that meets predetermined goals. 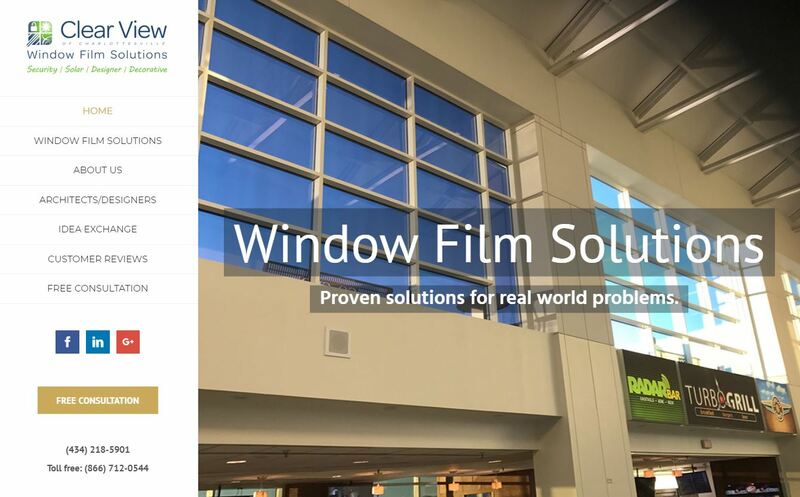 As part of a larger marketing and outreach initiative, RPCM developed a new website for Clear View Window Film Solutions. 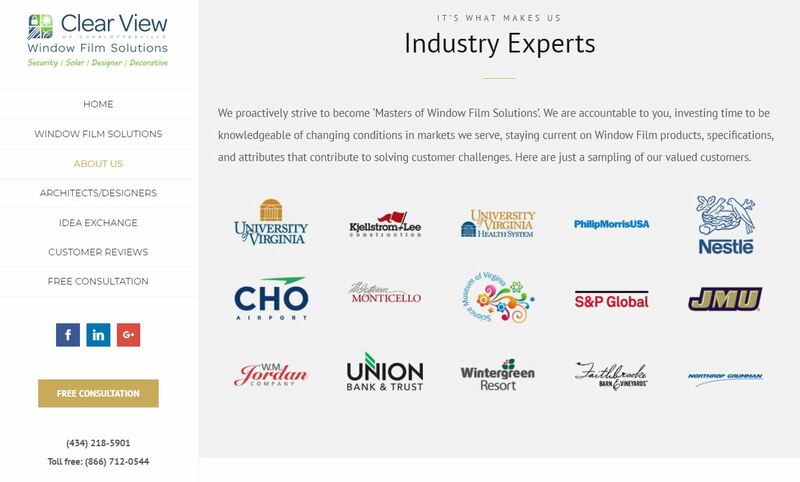 The new site was constructed in a manner that improved consumer education while attempting to capture sales leads and contacts. The website launch was accompanied by a robust Google Adwords campaign intended to drive traffic and increase brand awareness. RPCM provides full service communications management services. Contact us If you’d like your website to do more. 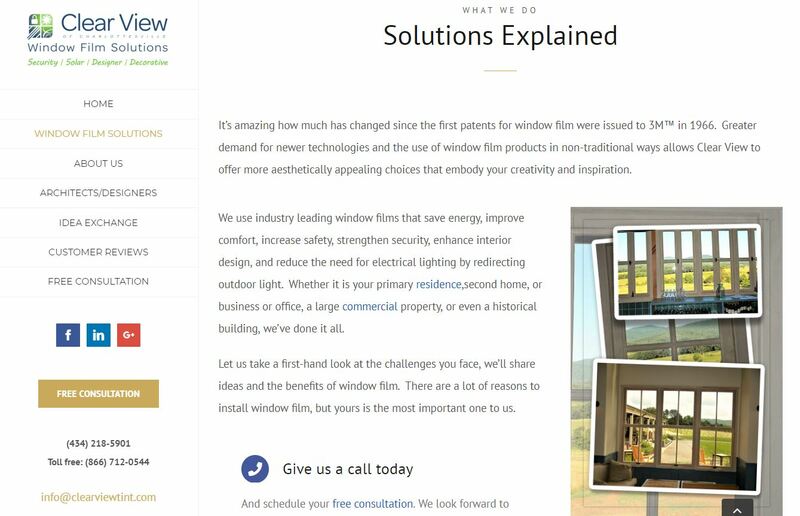 Visit clearviewtint.com to view the website.